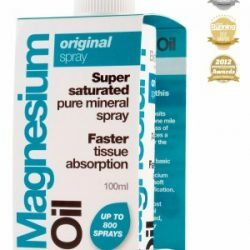 View cart “Better You Magnesium Oil Original Spray 100ml” has been added to your cart. 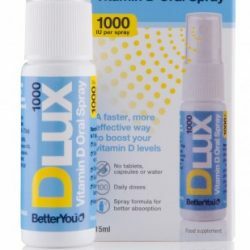 A convenient oral spray which delivers vitamin B12 directly into the bloodstream to help combat fatigue and improve mental clarity. 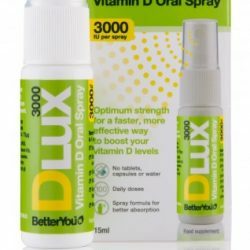 During Winter months and when sunlight exposure is limited or unavailable, we recommend one spray of our vitamin D deficiency treatment per 25kg of bodyweight. An average of 3 sprays daily should be sufficient to maintain healthy levels within an adult. 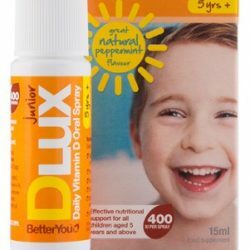 Fast, convenient and effective vitamin D supplementation, suitable from 6 months to 5 years of age. This unique oral spray guarantees optimal absorption of essential vitamins, bypassing the digestive system. An effective alternative to tablets or capsules, DLuxPregnancy is the ideal solution for those suffering from morning sickness. 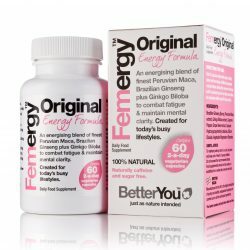 Femergy™ Original combines highly absorbable ingredients, including Brazilian ginseng, Peruvian maca and cayenne pepper, which are proven to enhance the body’s metabolism, reduce temporary feelings of tiredness and enhance sexual alertness, as well as increasing overall energy, mood and vitality. A small daily vegan capsule providing powerful, protecting and repairing ingredients. 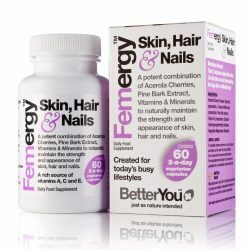 Femergy Skin, Hair & Nails helps to expel toxic free radicals in the body using a powerful combination of botanical, mineral and vitamin antioxidants, which will in turn enhance the strength and appearance of skin, hair and nails. 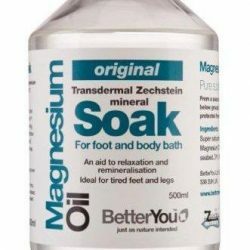 The magnesium effect. 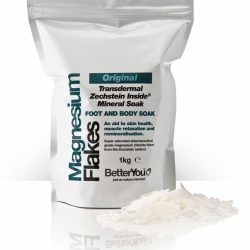 A powerful and essential mineral, magnesium is key in helping repair and replenish skin cells as well as improving general elasticity and overall glowing skin health. 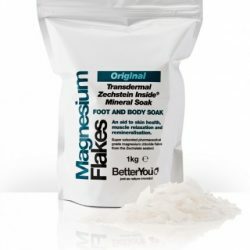 Magnesium is quite literally the biochemistry of skin health. The lightweight formulation has been designed for daily all-over application, to hydrate, moisturise and promote a healthy glow. A single use bath soak quantity. 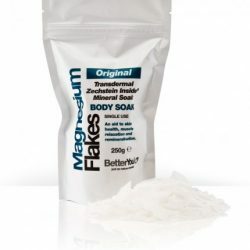 Magnesium Flakes contain 47% magnesium chloride and when bathed in, delivers this essential mineral directly into the skin tissue, entering cells immediately, efficiently replacing magnesium lost through modern diet and pressured lifestyles. 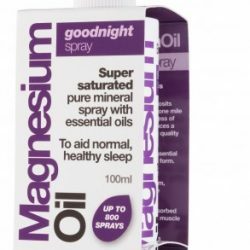 A unique combination of magnesium and essential oils to help promote deep muscle relaxation, a sense of wellbeing and promote a peaceful sleep. 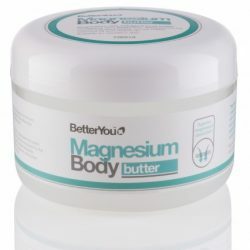 Fast and efficient delivery: Magnesium is an essential mineral for a healthy body and is used in over 300 reactions on a daily basis. A fantastic natural relaxant, it can help to rid the body of excess tension.